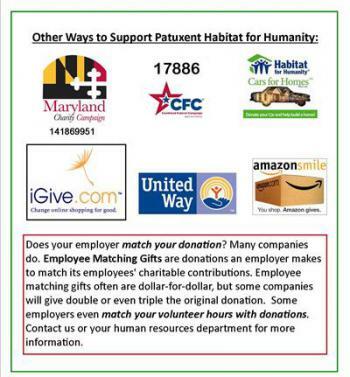 Thank you for your interest in Patuxent Habitat for Humanity’s Veteran Critical Home Repair program. 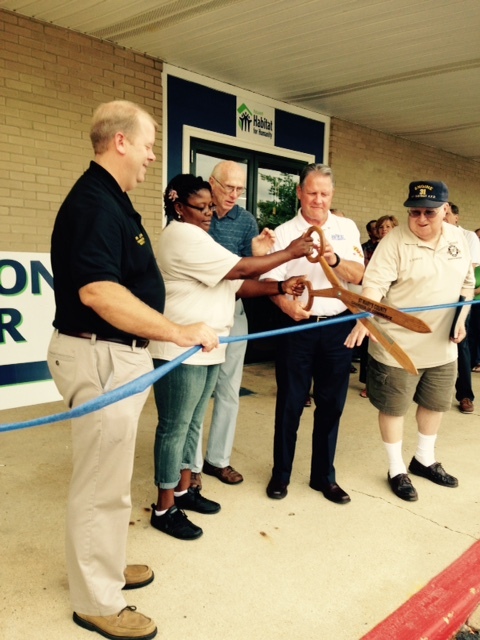 Through this program Patuxent Habitat will partner with Veterans in need of critical home repair. Home repairs will include handicap accessibility modifications (wheelchair ramps, grab bars, and handrails), roof repair, floor repair, and other health and safety home repairs. This is NOT an emergency repair program; there may be a months-long waiting period for repair work to be done. You must have your DD Form 214. You must show proof of homeowner’s insurance. You must have either an Honorable or General Discharge. You (or a member of your household) must have a need that makes the requested repairs necessary. Your household income must fall between 20%-60% of A.M.F.I. (Area Median Family Income). Those receiving services must be present during the duration of the repair work. Any able-bodied household members must help during the project (where applicable). Other friends and family (not in the household) are also encouraged to participate. Applicant must demonstrate willingness and ability to pay for a portion of the project cost based primarily on your income. Important to understand: We may only be able to commit to part of what a house needs. Homeowners will have to pay for a portion of the repair services based on household income. Cost for project will include materials and contracted labor. Upon acceptance into the program, participants must agree to a payment plan, which will begin immediately. Applicant must be current with plan to remain eligible. All pre-payments will be held in escrow until project is begun. No interest will be charged. Is the Homeowner also the Veteran? Family Bio: Please provide (in 500 words or less) a description of the family. Include such details as how many members in the family, occupation (where applicable), how long they have lived inteh home, etc. Has written permission been obtained from the homeowner's family to use photos and family bio in appropriate publications?